Stuck in a hot and stuffy office and can't get out for a break. You are dreaming of a walk on the beach, no noise, no phones, no screaming boss and a cool delicious ice cream in your hand. This may be a pipe dream but you can almost get there with our fun stress toy. Take our little ice cream off your desk and bash it around a bit. You will soon feel all your frustrations and stress melting away. The ice cream won't melt and will be ready waiting for the next bashing session later in the day. This fabulous toy is created with minute attention to detail. It has a short cone in a biscuit colour with the iconic indented markings. A huge scoop of creamy vanilla ice cream is placed on top, overflowing on the sides and looking totally delicious. 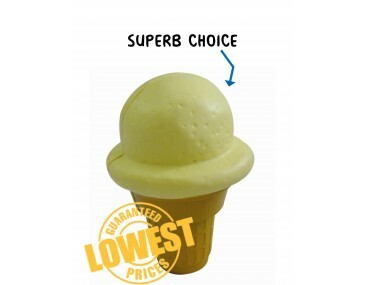 Ice cream businesses, entertainment centres and anyone in the party business can create a great trendy promotion with these stress toys, Brand them with your logo and hand them out to clients as give-aways at trade shows, expos and outdoor events. You name will be on everyone's lips. Stress is a huge problem in the workplace, and these little stress toys will add a fun and relaxing element to your client's day. Our listed price includes branding of your logo or graphic in a single colour print. We offer a product turnaround time of two weeks, but we can offer even faster turnaround times if your order is urgent. 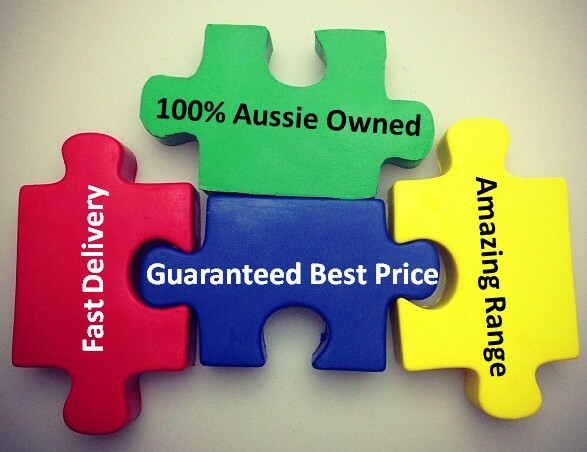 Our prices exclude GST and a print set up of $75 applies. This product is supplied in bulk quantities.